I think it was a jar of grated Kraft parmesan that first inspired these meatballs. The recipe has since evolved into an even more delicious meatball; the basic cheese, beef, egg combination can’t be beat. I like paring these with either spaghetti or making meatball subs. They also are a nice gluten-free option if your diet requires; pair with spaghetti squash and enjoy! Mix together all ingredients. Form into desired size meatballs; I made about 12 – 15 meatballs and left them a bit flat since we will be having meatball subs for dinner tomorrow. Spread onto baking sheet and bake at 350 degrees for 20 – 30 minutes depending on size of meatballs. Remove from baking sheet and add to pan of spaghetti sauce and continue heating through. 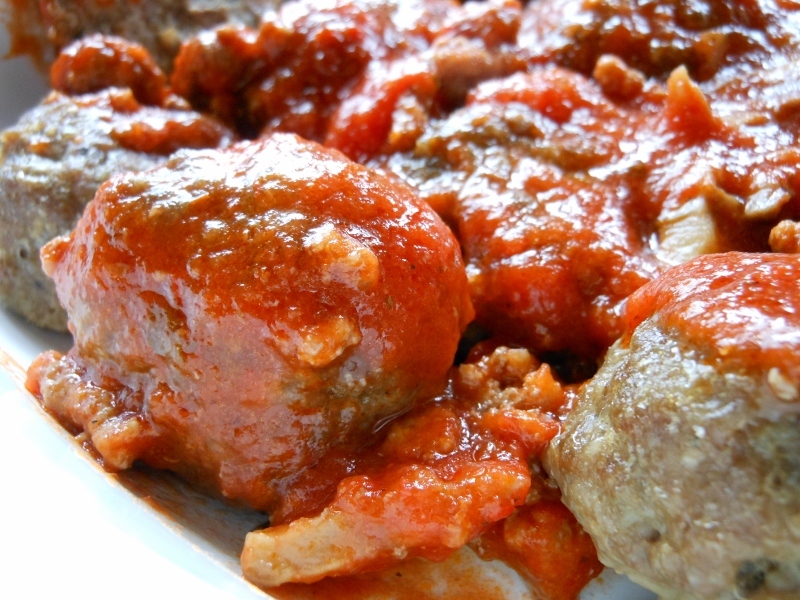 These are great to make ahead; in fact the flavor is even better the next day as the sauce has even more time to flavor the meatballs.